We are half way between a Merry Christmas and a Happy New Year and the weather here in Alexandria, Virginia is dark and gloomy in the extreme. In another light it might be considered peaceful, encouraging us to rest after holiday travels and travails. 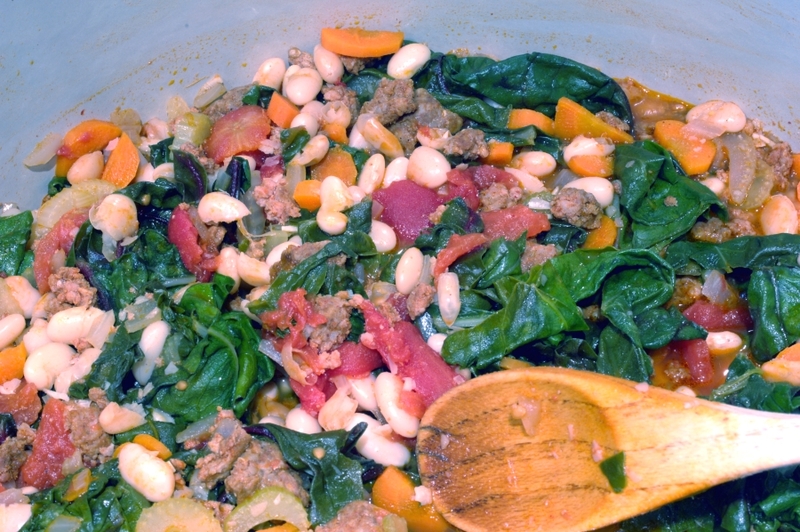 Either way, it is the perfect weather for warm, hearty, nourishing stew. 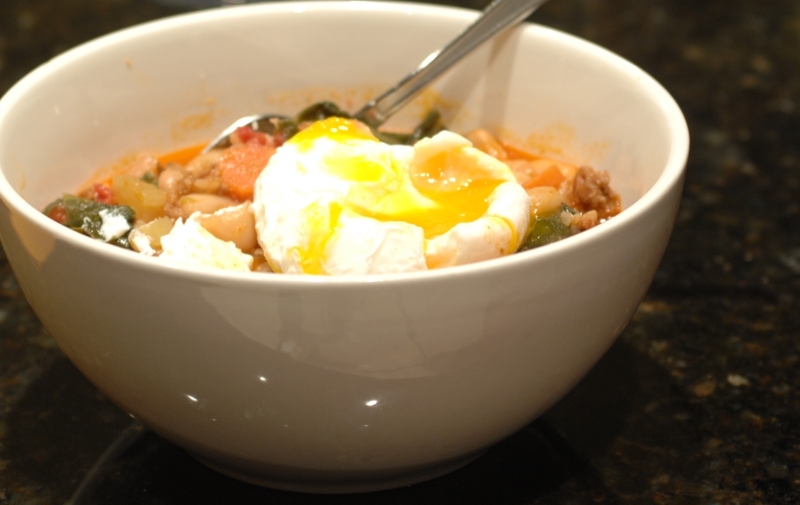 This is definitely comfort food: bright, sweet tomatoes, spicy sausage, crisp rainbow chard and toothsome beans simmering into a succulent stew, and a poached egg, golden as afternoon sunshine, topping it all to warm you from the inside out. To poach an egg, bring roughly two inches of water to a near-simmer. By this I mean that the water should be steaming and there should be lots of little bubbles in the base of the pan, but those bubbles should not break the surface. You do not want boiling water. To this water add 1-2 tsp. of vinegar (this will help keep your egg together) and the same amount of salt. Break your egg carefully into a small bowl, being careful not to puncture the clear sack (the thin albumen) surrounding the egg white. Keeping the egg white (and of course yolk) intact, assisted by the vinegar, should allow you to produce a beautifully compact poached egg. Now, lower your egg bowl over the hot water and gently pour the egg into the pan. Allow your egg to poach until all of the egg white has congealed and you can no longer see any transparency. Using a slotted spoon, remove the egg directly to your stew. Enjoy! Heat 1Tbs. of oil in a large pot. Add chorizo and brown fully. Remove chorizo from pot to colander/sieve to drain of grease. Wipe out pot to dry it, and heat three tablespoons of olive oil over medium. Add carrots, celery, shallots and garlic and saute for 15 minutes. Add wine (scraping up any bits that have stuck to the pot) and cook it until the liquid has reduced by three-fourths. Add beans, broth, tomatoes, a few pinches of salt, freshly ground black pepper, thyme and bay leaf and bring to a boil. Reduce heat to medium-low, add sausage, and simmer for 20 minutes. 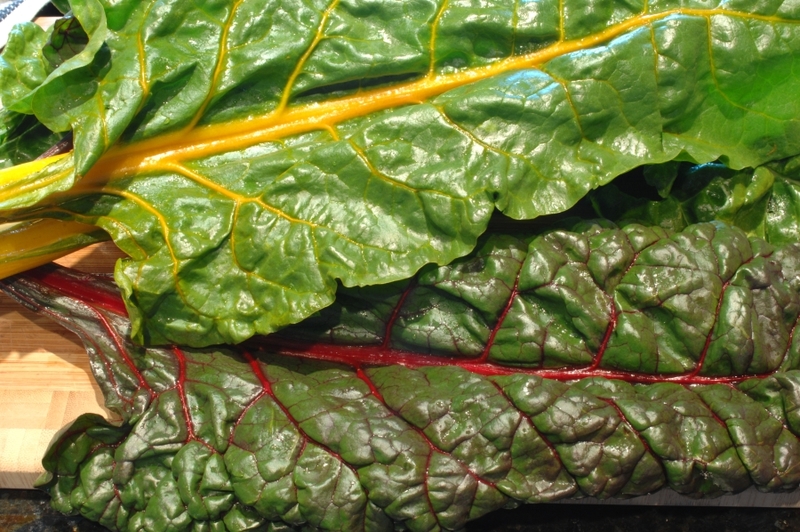 Add chard and cook for 10 minutes more. Remove thyme and bay leaf. Add more broth if you’d like a thinner stew and adjust salt and pepper to taste. This entry was posted in allergy elimination diet, dinner, gluten-free, lunch, recipes, soup of the day, soups & stews and tagged eggs, gluten-free, poached egg, soup of the day, soups and stews on December 27, 2011 by Brandy. Good morning! Like most of you in these last few days before Christmas I have a stunningly full day ahead. Cleaning (lots of cleaning), a bit of last minute shopping, sewing (making stockings because I will NOT pay $10 or $20 dollars each for the really sad stockings I’ve seen available), stringing popcorn and cranberries, decorating, and making home cozy . Also, in the midst of all the bustle, taking time to remember why I celebrate Christmas and love it. Remembering that it would still be Christmas without any presents, without any treats or trees. Realizing that I am just one of millions of people all the world over honoring the Baby, born in a manger, who grew to be the Man giving the best present of all. However, before the sun comes up and the day begins, I wanted to take just a moment to share these with you. 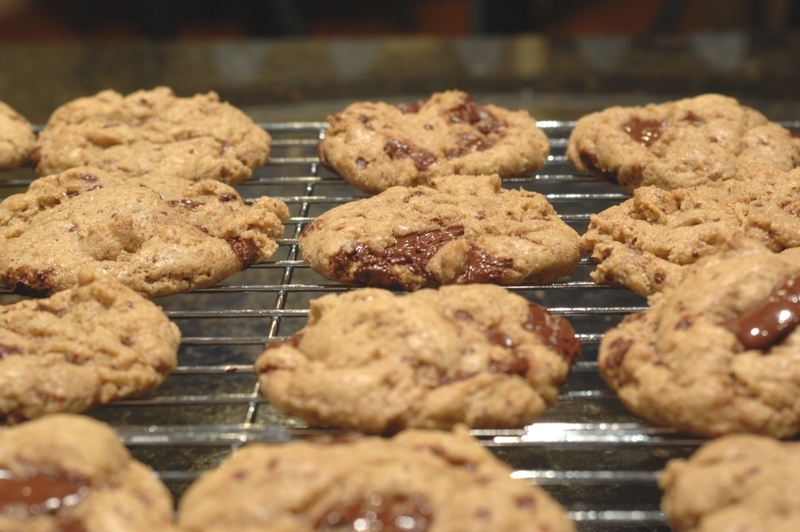 These cookies are one of the recipes I am most frequently asked to share. They are gluten-free, but no one will ever know unless you tell them. They are decadently full of molten chocolate and the heady fragrance of vanilla. 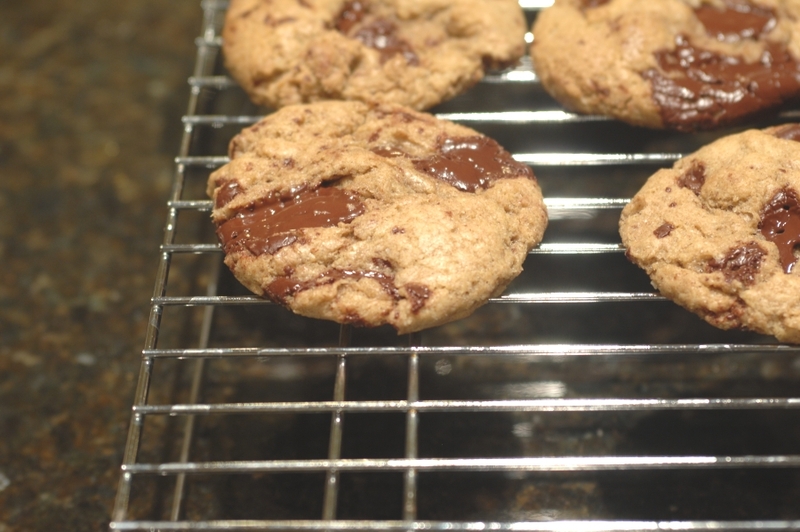 The quality of your chocolate makes all the difference with these cookies. I’ve settled firmly on ScharffenBerger as my chocolate-o-choice. Experiment, discover your favorite, and then let me know. Preheat oven to 350 degrees. 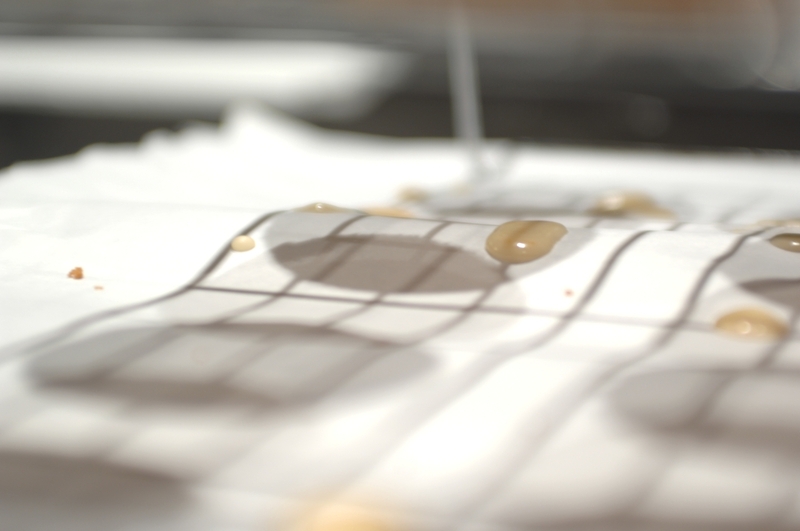 Line cookie sheets with parchment paper or Silpat. 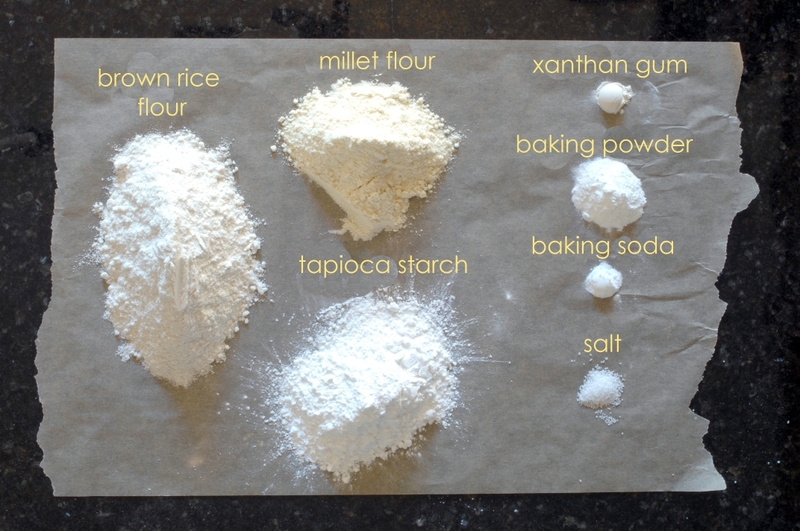 In a large bowl sift together flours, starch, xanthan gum, baking soda and powder, and salt (otherwise known as the dry ingredients). Place butter and sugars in a large bowl or in the bowl of a stand mixer fitted with paddle attachment. Beat for approximately one minute, then, add eggs one at a time, allowing the first to be incorporated before adding the second. Add vanilla. Sift in the dry ingredients one cup at a time until flour is mostly incorporated in the dough. Finally, add the chocolate and stir until evenly distributed. Bake cookies in oven for 8-15 minutes, depending on desired doneness. 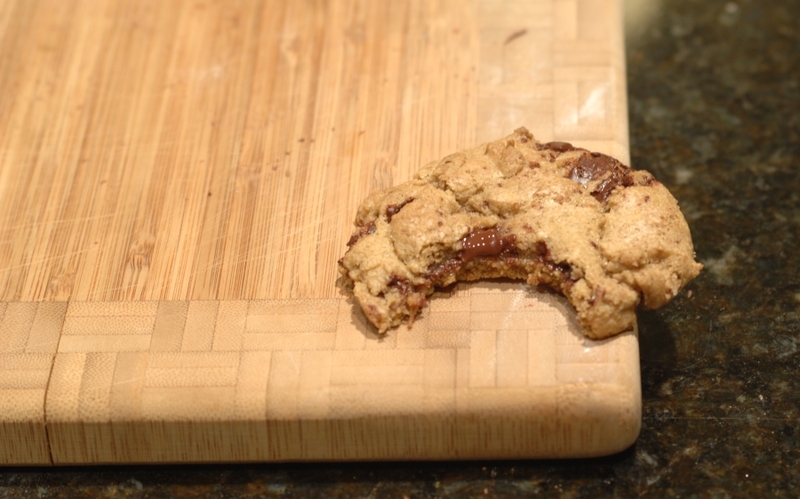 Note: cookies may appear lighter in color than wheat flour cookies when done. This entry was posted in cookies, dessert, gluten-free, recipes and tagged chocolate, cookies, dessert, gluten-free, recipes on December 22, 2011 by Brandy. This entry was posted in in my kitchen and tagged kitchen, lists, tools on December 15, 2011 by Brandy. Hello there! Welcome to One is Hungry. I’ll be making a proper introduction (and making things in general spiffier) very soon, but for now let’s get straight to the good stuff, shall we? Forgive my haste, but I simply cannot wait to share these. . . I love these muffins. They combine the jewel bright, sweet-tart goodness of cranberries, sunshiny orange zest, and the warm comfort of toasted pecans. They exhale a perfumed breath of the holiday season we are in. They remind me that, once upon a time, an orange in your stocking was a glorious gift on Christmas morn. Okay, you get the picture; I really like these muffins! 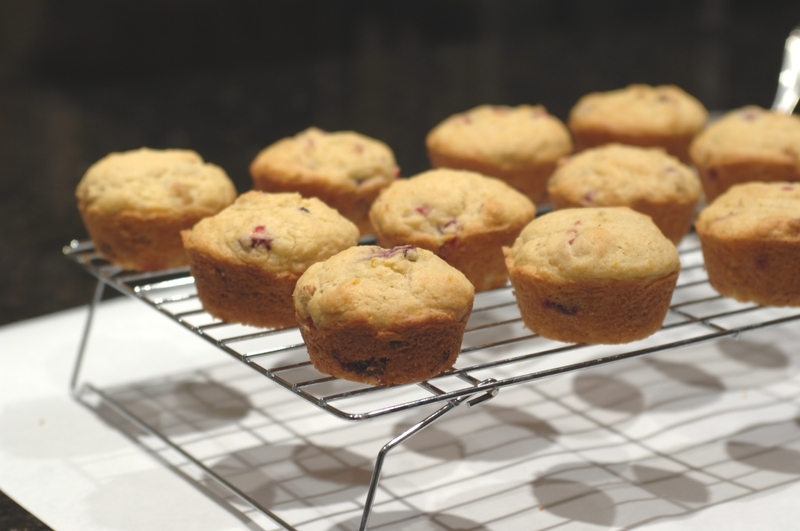 Another excellent thing about these muffins is that they easily allow for a variety of ingredient substitutions while still turning out beautifully. I’ve tried them with different combinations of sorghum flour, brown rice, amaranth, millet, potato starch and tapioca starch. 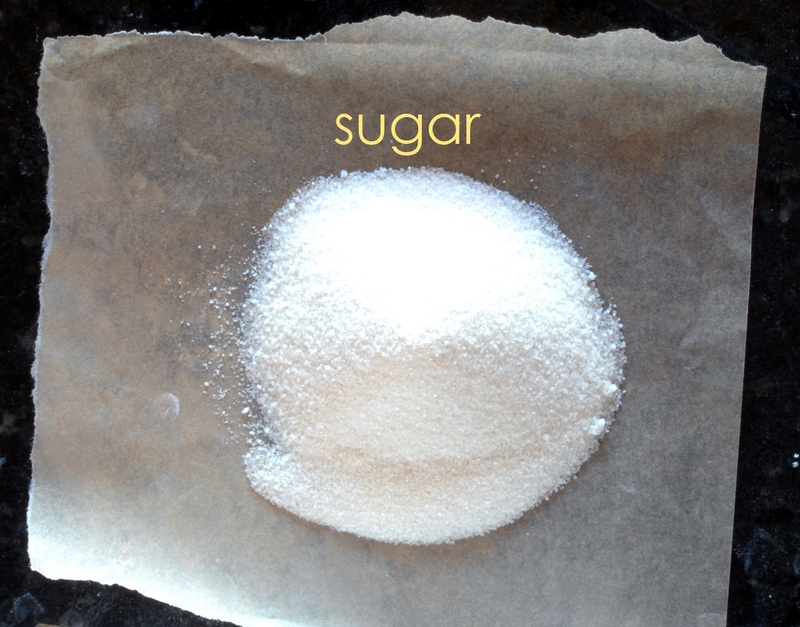 I’ve done sugar, agave, sugar and agave, honey. . .they are always good. The recipe below is my favorite combination so far, but the options are nearly endless. 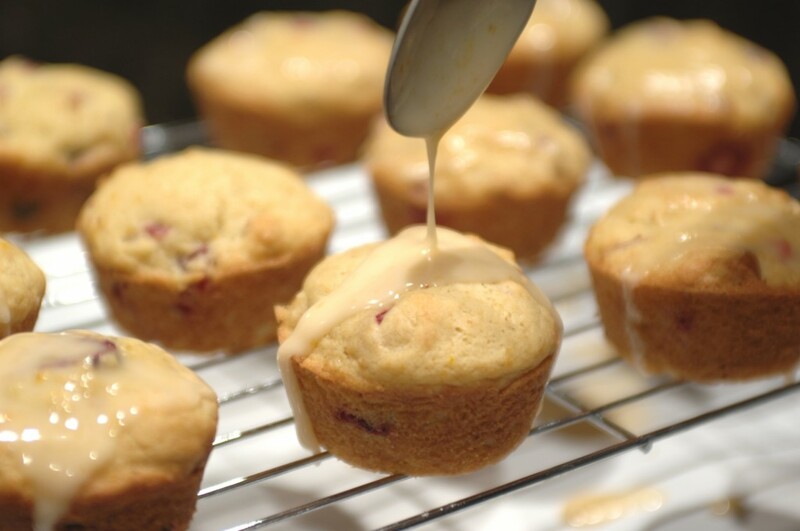 I include an optional glaze; I find the muffins perfectly sweet without this addition, but my husband prefers the enhanced experience. 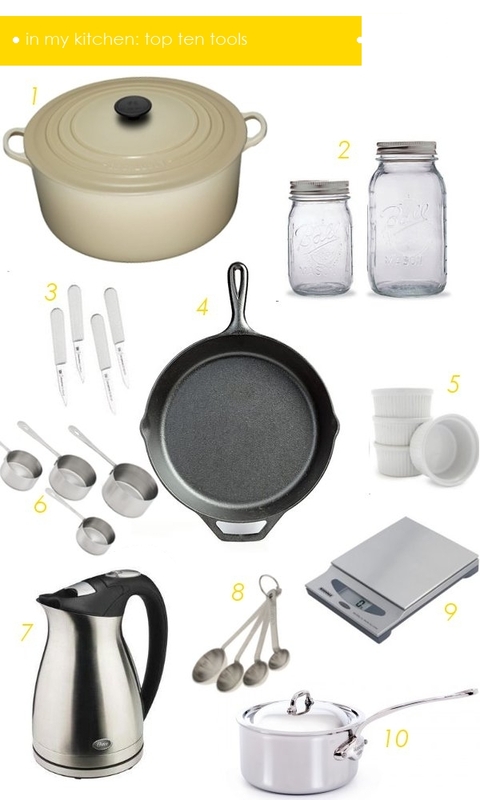 Here is what you will need. After combining the dry and wet ingredients until just moistened, the goodies are folded in. Preheat oven to 350 degrees. Line a muffin tin and oil the top of the pan. Sift together flours, starch, baking powder and soda, and salt; mix well. 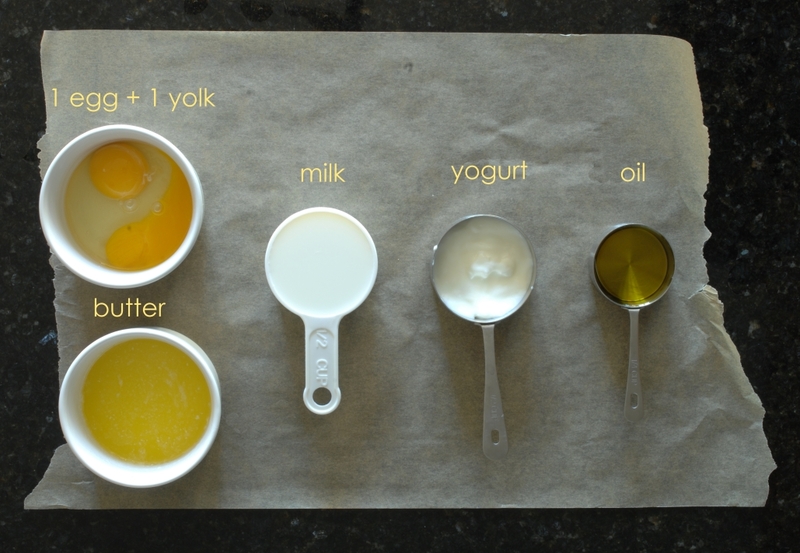 In a medium bowl whisk sugar, butter, milk, yogurt, oil, egg and egg yolk until combined. Pour the wet ingredients into the dry and fold until batter is moistened. The batter will be lumpy and streaked with dry flour. 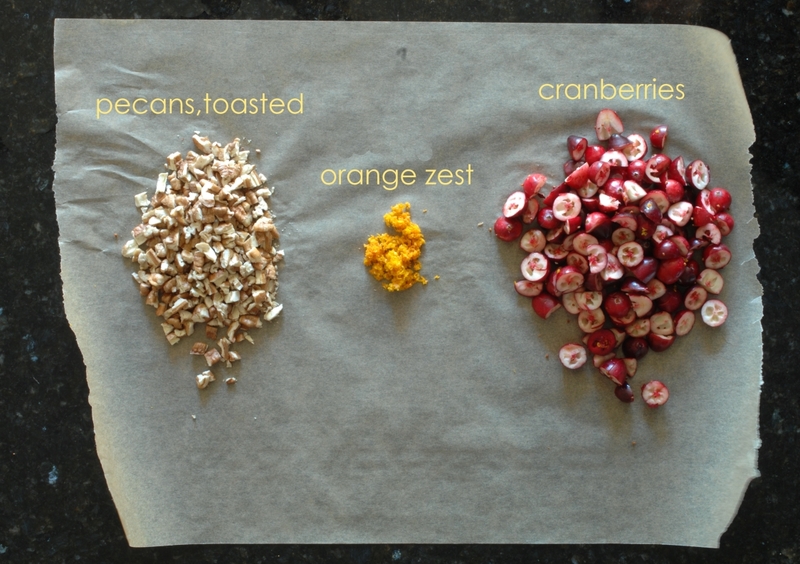 Fold in the orange zest, cranberries and pecans. Cook until a golden brown, about 18- 20 minutes. 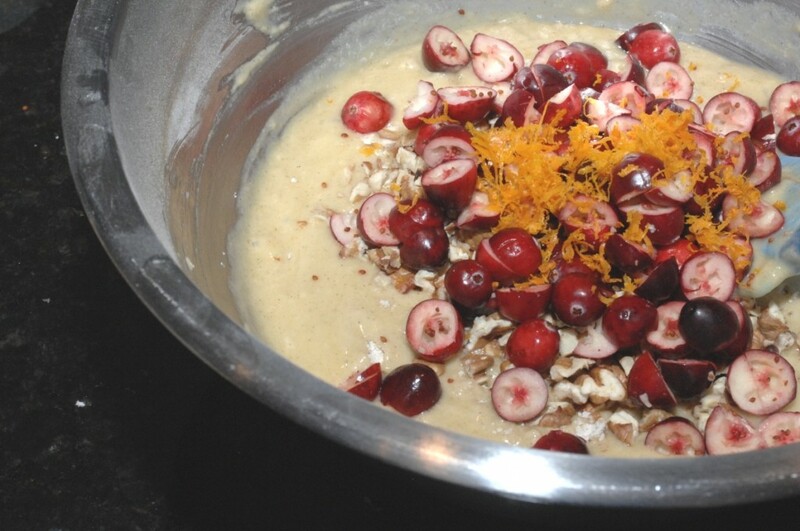 This entry was posted in breakfast, dessert, gluten-free, muffins, recipes and tagged breakfast, fall, gluten-free, muffins, recipes, winter on December 12, 2011 by Brandy.